A hundred years ago this month British Empire and French forces embarked on what became known as the Gallipoli or Dardanelles campaign against the Ottoman Empire with the aim of capturing the capital city of Constantinople (now Istanbul). One of the bloodiest campaigns of World War One, the failure of the Allied Forces brought down the British government and left a lasting legacy particularly in Australia and New Zealand where the date on which the campaign began is now remembered as ANZAC day. Although the exact figures are disputed it’s believed that over 100,000 soldiers were killed during the campaign including approximately 60,000 Turks, 34,000 British and Irish, 10,000 French, 8000 Australians and 2500 New Zealanders as well smaller numbers from Newfoundland and India. Oswald Carver was the private school educated son of a wealthy Manchester merchant. He studied at Charterhouse School and at Cambridge University where he rowed in 1908 Varsity Boat race. Later that summer Carver was a crew member of the University boat that won the bronze medal at the first London Olympics. A captain in the Royal Engineers he was wounded in the back on the 4th of June 1915 and died three days later. He left a widow and two children. Paul Kenna was a career soldier who earned the Victoria Cross, Britain’s highest military honour, for bravery during the Anglo-Sudan War. He also fought in Somalia and in the Boer War before making his Olympic appearance in 1912 in his fiftieth year. In October 1915 Brigadier-General Kenna was touring the front line when he was shot and killed by a sniper. Chris Porter was not technically an Olympian since he was only a non-playing member of the Great Britain football team at the 1908 Olympics but it would be an oversight not to mention him here. The son of a Manchester publican played league football, as an amateur, for Stockport County and Glossop North End and was a free scoring member of the England national amateur team. Porter served as a private with the 6th Battalion of the Manchester Regiment but was sadly killed in action during the Gallipoli Campaign in June 1915. The events of the Gallipoli Campaign particularly resound in Australia as this was the first time Australian troops had ever suffered large losses. Although a number of prominent Australian sportsmen lost their lives during the campaign, no Australian Olympian perished in the conflict. Claude Ross, who competed at 400m in the Stockholm Olympics, survived only to be killed later in the war whilst serving in France. Rower Keith Heritage was amongst the first to land and last to leave the peninsular but he too met his fate whilst serving on the Western Front. 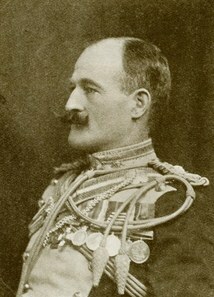 Wilfred Kent-Hughes was wounded at Gallipoli but recovered to claim a place in the Australian team in the 400m hurdles. Although a Member of Parliament at time, he served as an officer in the Australian Army in WW2 and was a prisoner of war in Singapore. He was to become the chairman of the 1956 Melbourne Olympic Committee. Olympic rugby champions Sydney Middleton and Tom Richards, swimmer Frank Schryver and athlete turned actor Joseph Lynch also served in the Dardanelles.